One of the things that typically comes out when I talk writing, horror, or urban fantasy is my love of the vampire genre. It’s interesting to me how much people jump to conclusions about why I love it and why I’ve fallen into writing it off and on. Somehow, whether it’s because I’m a gal or because we’ve fallen into a genre trap, people assume that when I talk vampires, I mean vampire romance. I mean, sure, yeah, I’m not against some smexy undeadness, and that’s probably a good portion of why the genre is successful (even going back to Dracula), but that’s not all it is. Vampires fascinate me because they basically upset the food chain in an unsettling way. You’ve got creatures that are more powerful than humans and are somewhat animalistic, but they look pretty much like people. Depending on the sub-genre, they use that to their advantage in different ways. Yeah, you can tell I grew up in the eighties. Oh, well. I think we forget that anyone could essentially be a vampire, and stories that do that well can provide some legitimate creep factors. There’s a magnificent scene in American Vampire in the 1950s arc where a slayer is dating a suburban girl and you think her family is being a pain because they look like the typical upright couple and he’s a greaser…and then you find out they’re vampires and using the girl as bait. The Moth Diaries works because you can’t quite tell if the new girl at a boarding school is something nonhuman or if the narrator is unreliable, and part of the disbelief comes from the fact that it just seems so atypical to see a 1950s-60s schoolgirl as a horror staple. It’s not just the bait and switch that makes it interesting – it’s that their covers are so far removed from what we’re used to seeing these days that makes those scenes unsettling. It’s why kid vampires were big for a while – the implications of that kind of transformation are pretty awful to consider once you start to think about it, and there’s a lot you can do with that. We also tend to think of vampires these days in the modern Twilight, Vampire Diaries, True Blood, and even Buffy sense that they’re running around in the here and now. While the modern vampire is awesome – I love writing deranged teen vampires, don’t get me wrong – there’s a whole other world out there. Part of the power of Anne Rice’s characters is that they have epic backstories that take the reader to another time and place. It’s interesting to see how these characters not only coped with the changing of time, but also how they survived in the eras they came from. Tom Holland’s Lord of the Dead grabbed me by the throat because he makes a hell of a case for Lord Byron as a vampire; you’re totally immersed in the time period and that makes everything so much more interesting. American Vampire thrives on putting the undead in unusual, historical situations (admittedly with more success with some situations than others, but they’re always interesting concepts and provide a lot of great obstacles for the characters). 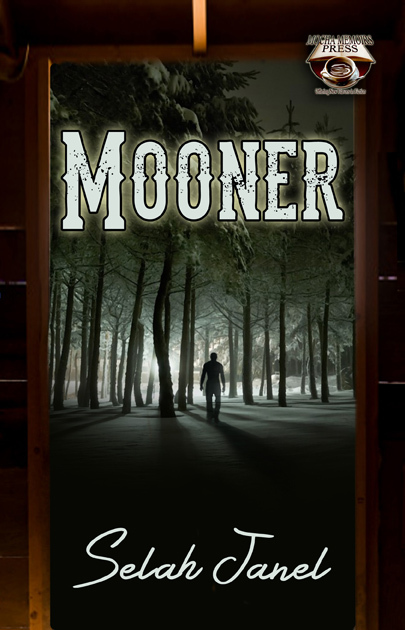 One of my first pieces that I had published was Mooner, which involved contemplating what settlers and loggers in 1800s America would do if confronted with vampirism, and it’s a concept that I want to revisit because it’s so rich in material and possible tension. Guns and weapons weren’t the same then, plus it was that much harder to make a living and protect a family – never mind whether that family is human or not. Like a lot of horror subgenres, vampires work well when played straight. I think that’s my basic plea for authors and filmmakers these days. Let’s get away from the typical and go back to using the archetype for something interesting. Know your characters, put them in certain situations, and see what happens. Don’t try to force a relationship because they’re hot, but play with the odd things that could come from actually trying to date Dracula. See your set-ups through, people. Don’t make the whole story some weird slayer/undead war vendetta, but see what happens when you throw clashing personalities together during a time period that may make things harder for them, anyway. Here’s the thing: the archetype of the vampire has hung in there for so long because it’s an enduring metaphor. It’s versatile and open to a lot of different things. Despite what people say, the vampire genre isn’t going to go away any time soon, so we might as well celebrate it and do some interesting things with it.